Original black and white sepia-toned photograph, attached to a two-toned brown cardboard frame. The top right corner of the print is missing. 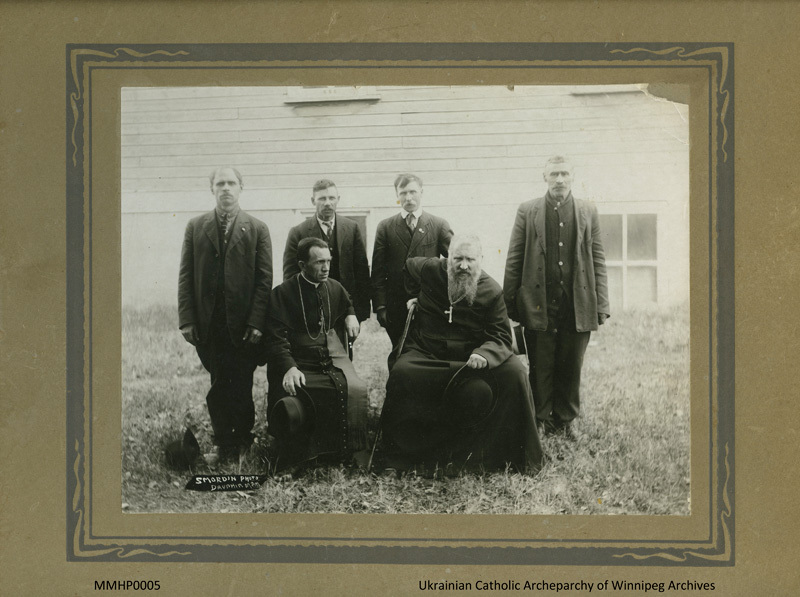 Metropolitan Andrei Sheptytskyj has a hand on his cane, perhaps about to stand up, while Bishop Nykyta Budka sits next to him, Dauphin, Manitoba, 1921. Four men in suits stand near them.